To be successful at the highest level, the executive leader must learn to managing oneself. Managing people is hard, but a more difficult task is managing oneself. In this article we will discuss some invaluable tools that help the executive leader to manage oneself. Tool number 1: Perseverance/Resiliency. We all are familiar with the phase, “don’t let them see you sweat.” The executive leader must learn how to deal effectively with pressures. Pressures from the job and pressures from outside the work world; both will have an impact on how the executive leader will treat his or her employees and perform his job. To be resilient the executive leader must find ways to maintain interest and focus on the task or tasks before him or her. The executive leader must find a way to balance his/her personal and work life. That balance is often hard to come by in today’s world. Our many “successful role models” today spends an inordinate time on the job, away from the family and for some even overlooking their own health. The most recent example is the successful Florida football coach, Urban Meyer. In his drive for success, Meyer compromised his health to the point that he contemplated leaving the job he really loves. Tool number 3: Identify your strengths and core values. Your strengths are what got you to your high level job in the first place; so those strong skills and attributes are what you need to focus on to enhance job performance. Too often executives focus on their weaknesses to the detriments of the strong points that have, in the past, helped their company and their career. A number of Gallup Research studies have concluded that “Strength Based Development” is a key in improving and accelerating job performance. A part of identifying your strengths is being yourself and being aware of your core values. What are you not willing to compromise as it relates to your company achieving its mission and/or making a profit? Therefore, tool 3 is being aware of your strengths; utilize those strengths to improve your performance and finally know your ethics. What are those things that are important to you that you are not willing to compromise even when the going gets tough? Tool number 4: Appreciate your work style. You are most effective when you appreciate your own work style. Again this goes back to knowing your strengths. How do you get things accomplished; what do you need to make informed decisions and how does your work style mesh with others around you to accomplish the company’s mission? It’s also critical to know and appreciate your managers’ work styles. What flexibilities will they need to accomplish their tasks; when is it the better time to meet with your managers to get the best out of them. The key here, is not to be someone else or try to replicate someone’s work style; but to be confident in your own your abilities and focus on your strength to lead. Finally, Tool number 5 is Look at all challenges as an opportunity. My email tagline is “Turning challenging opportunities into remarkable successes.” I have often said in other settings that challenges are a gift from God. 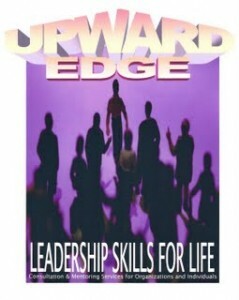 “An opportunity to grow; to soar like an eagle; to be the leader that you know you are; to be the leader God has called you to be” (Upward Edge, October 7, 2009). Challenges give you opportunities to stretch and to improve services and/or products for your customers. It is important not to take on challenges all alone. Seek advice from your peers, from your customers and from your lieutenants. The bottom line is that we all improve when we are forced to change and are challenged by opportunities. So now you have it. Managing oneself is about finding quiet time to build on the tools above. It’s about prevention, preparation, planning and building relationships to not only manage, but to sustain oneself in highly competitive and stressful positions. This entry was posted in Coaching/Mentoring, Leadership and tagged balance, core values, emerging leaders, Gallup, Harold Lloyd, Laurie Beth Jones, Leadership, perseverance, resiliency, Stephen Covey, strengths, Time management, Urban Meyer, work style. Bookmark the permalink. Laughingly noted but did you put this together just for me – Jr?